Overcome the latest clinical challenges in the emergency care of pediatric patients! 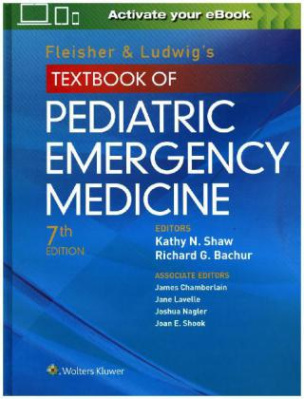 Fleisher & Ludwig's Textbook of Pediatric Emergency Medicinehas long been acknowledged as the indispensible comprehensive clinical reference on diagnosing and managing emergent health issues in children. Now, a new editorial team and an all-star collection of contributing authorities have meticulously updated this essential work, bringing youall of the most recent approaches to virtually any pediatric emergencyyou are likely to encounter in practice.